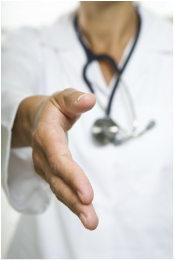 HouseCalls-MD provides prompt on–site physician service! A physician comes to your residency, be it your house, assisted living facility or place of business, equipped with almost everything you can find in the doctor’s office. X-rays and lab work samples collection is provided on the spot, when needed. No more long hours spent in doctor’s offices or waiting rooms. No exposure to other sick people. You have no transportation expenses. Ample time is provided for each patient and their family - there is no rush. We strive to keep you out of the Emergency room, reduce Urgent care visits and hospital re-admissions!